The degree to which students hold epistemically unwarranted beliefs, beliefs not founded on reliable reasoning or credible data, can be used as a measure of critical thinking skills. To this end, college students (n = 806) were surveyed at the beginning and end of a semester. Epistemically unwarranted beliefs were pervasive. 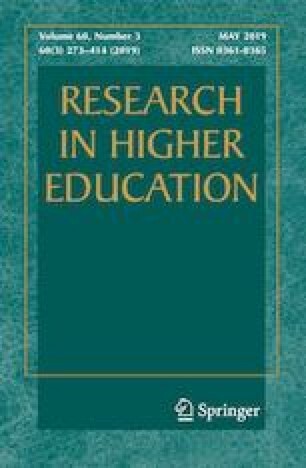 Several sections of a critical thinking class that specifically and directly addressed pseudoscience, taught by three different instructors, produced a large and significant reduction of those beliefs, but research methods classes and unrelated general education classes did not. Most likely to be reduced were beliefs in health pseudoscience and extraordinary life forms. Conspiracy theories were least likely to change. Demographic variables (gender, race, SES) were associated with beliefs at pre-test, but not related to reduction of belief as a result of the class. Similarly, academic indicators that suggest intelligence were related to belief at pre-test, but not change. The one exception was that reduction of belief in health pseudoscience was widespread in all groups at pre-test, but showed the greatest reduction among students with indicators of academic aptitude and achievement. We conclude that the educational approach of directly addressing pseudoscience is effective for changing beliefs, not just increasing knowledge, and that it works for most college students, not just a select subset. Johnson, R. M. (2003). Is knowledge of science associated with higher skepticism of pseudoscientific claims? University of Tennessee Honors Thesis Projects. Retrieved September 5, 2015, from http://trace.tennessee.edu/utk_chanhonorproj/659. Lyons, L. (2005). Paranormal beliefs come (super)naturally to some. Retrieved November 8, 2014, from http://www.gallup.com/poll/19558/paranormal-beliefs-come-supernaturally-to-some.html. McLaughlin, A. C., & McGill, A. E. (2017). Explicitly teaching critical thinking skills in a history course. Science and Education. Retrieved March 20, 2017, from https://link.springer.com/article/10.1007%2Fs11191-017-9878-2. National Science Board. (2010). Science and technology: Public attitudes and understanding. Science and Engineering Indicators. Retrieved September 5, 2015, from http://www.nsf.gov/statistics/seind10/c7/c7h.htm. Newport, F., & Strausberg, M. (2001). Americans’ belief in psychic and paranormal phenomena is up over the last decade. Retrieved November 8, 2014, from http://www.gallup.com/poll/4483/americans-belief-pyschic-paranormal-phenomena-up-over-last-decade.com.